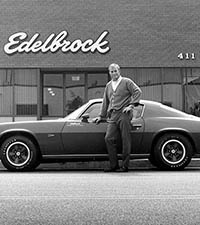 SEMA Hall of Fame - Vic Edelbrock Jr., 1989, Edelbrock Corp..
President and CEO of Edelbrock Equipment Co., Vic Jr., born Otis Victor Edelbrock, said of his career, “I learned the business by starting out in the shop, sweeping floors.” Vic helped grow the company his dad, Vic Sr., created into a major name among hot-rodders, racers and all auto enthusiasts. 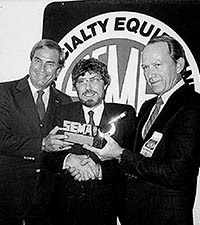 Vic was also the first son to join his father in the SEMA Hall of Fame. 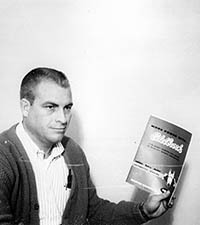 With the death of his father in 1962, Vic Jr. assumed the position of company president at the young age of 26. 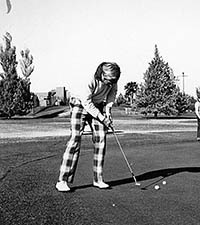 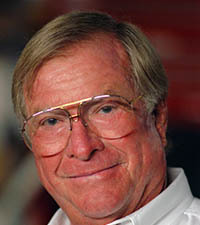 He served on the SEMA Board of Directors from 1967 to 1989 and as the Board’s Chairman from 1971 to 1975. 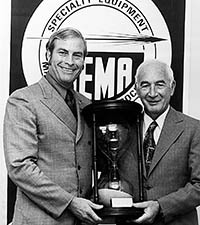 During his first SEMA presidency term, he formed the first group of committees dealing with environmental issues, including emissions regulations. 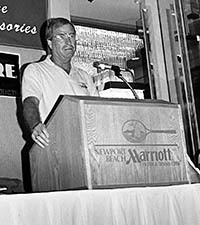 Vic Jr. was named to the PWA Hall of Fame and was its Person of the Year in 1982 and 1987. 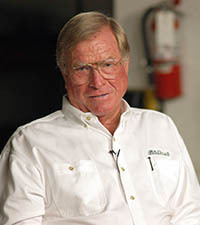 His other accomplishments also include being recipient of the Robert E. Petersen Lifetime Achievement Award and induction into the International Drag Racing Hall of Fame.